This 8-week telehealth (remote) intervention program focuses on building play skills, emotional understanding and regulation, and social skills. The study involves two in-person visits, one at the beginning and one at the end, that would be conducted in the family's local area and then the 8-week intervention, which is all done via remote videoconferencing. Preliminary findings show that preschoolers and school-age children with PWS show difficulties in social cognitive abilities, such as engaging in individual and peer play, emotional understanding, and social skills such as turn taking and engaging with peers. There is also evidence to suggest that a preschool parent training program could help to improve quality of parent-child interactions and could decrease problem behaviors. Direct remote intervention with school-age children with PWS may increase emotional expression, quality of imaginative play, and overall social cognitive skills, while decreasing challenging behavior. 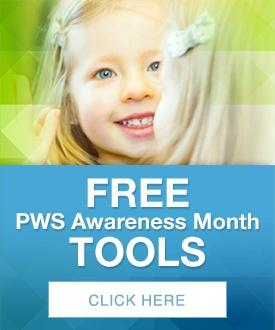 A combination of remotely delivered parent-training and direct behavioral intervention could potentially yield positive emotional, social, and behavioral results for preschool and school-age children with PWS. Continuing to provide these interventions to children with PWS and their families will help us better understand what difficulties these children may face in social cognitive skills and how we can best treat them. 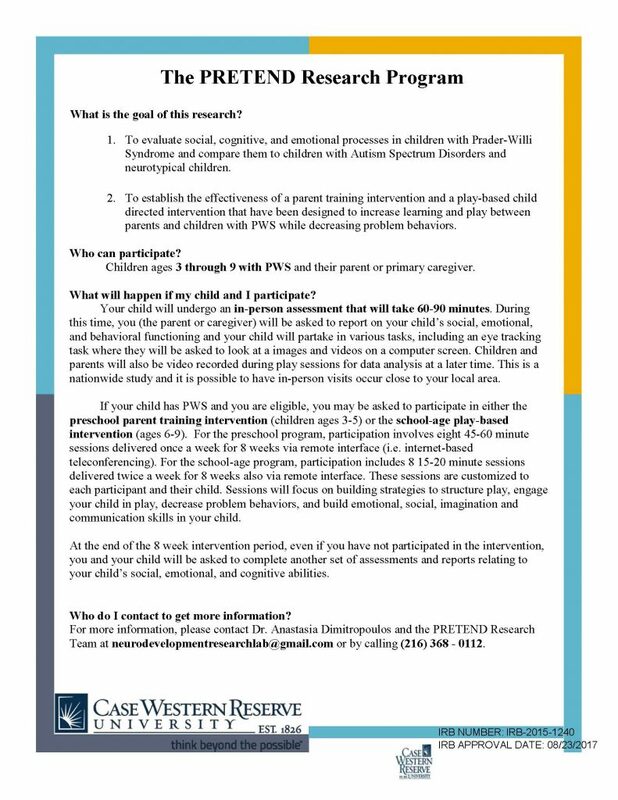 For more information about enrolling in the PRETEND study, please contact the PRETEND team at neurodevelopmentresearchlab@gmail.com or 216‐368‐3471.